The Benojo site closes the overall appeal site that VBCA used in 2018 and we will be opening a new link very soon. I would like to take this opportunity to thank everyone who has helped VBCA help VBC have a record year with the number of house and toilet builds. Together we have achieved much in 2018 but as all of you who visited Cambodia during the year or have seen the photos of the "before house" the need to help is still very much there. Thank you again and hopefully together we can continue to build better lives for the poorest Cambodian people! What's the cost of a home? In rural areas of Cambodia's Siem Reap, that cost is just US$2,900 (around A$3,800). But the difference it can make to the life of a family living in poverty is immeasurable, as 15-year old 'P's' story relays. A simple, sturdy Khmer-style wooden house provides shelter and security for Cambodian families living in need. Poor education, lack of skills and a shortage of job opportunities mean many rural Cambodians are still living in extreme poverty with inadequate shelter. Volunteer Building Cambodia run volunteer programs which involve a week of building a house to replace the fragile structures that offer little protection from the elements. This not only provides a home for families living in poverty - improved living conditions change lives, through better sanitation, increased security, better sleeping arrangements and healthier living. Children in secure homes are less likely to get sick and more likely to attend school. US$2900 is all it costs to fund a house build, and the basic human right of a secure shelter for a family. US$295 donation pays for a toilet, improving hygiene and sanitation and reducing health risks. US$200 pays for a well, ensuring a family, or sometimes a number of families, have access to clean drinking water. 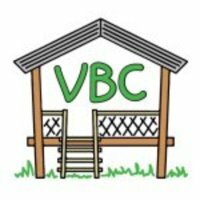 VBC gratefully accept smaller donations, which contribute to supplies for our community centre and the ongoing running costs of Volunteer Building Cambodia. No matter how large or small, your generosity makes a difference. VBC work with volunteers from around the globe to build safe, dry housing for rural Cambodian families. Volunteers work under the guidance of a skilled building team to construct a house in as little as one week. Check out the video to see VBC in action. Check out VBC's Benojo profile page to see other opportunities from VBC and how you can change a family's life.